I’ll take politics for 100, Alex. America’s oldest stall tactic. 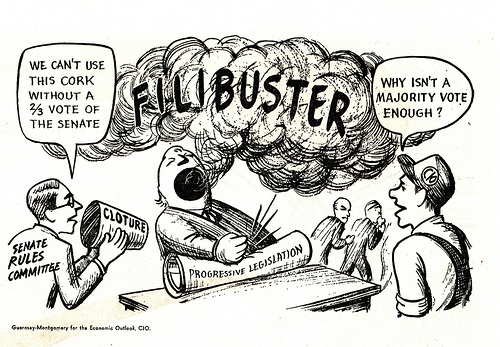 What is the Filibuster? Have you ever heard or said to someone, “you’re talking that to death?” That saying paints a pretty accurate picture of what a filibuster does. “Using the filibuster to delay or block legislative action has a long history,” describes the United States Senate website. For decades, members of Congress have used the filibuster to stop legislative action that they fiercely disagreed with. There are two types of filibusters, silent and spoken. So how does it work? When a senator wants to get a piece of legislation passed, it is presented on the Senate floor and voted on. It must have a simple majority of 51 votes to pass. You can imagine how much lobbying and convincing a group of senators must do to pass a particularly controversial bill. But that’s not all they have to worry about. “In the [..] Senate, unlimited debate continued on the grounds that any senator should have the right to speak as long as necessary on any issue,” describes the United States Senate website. Which means that a vote can be delayed as long as any senator wants to debate it or simply take the floor to speak. The record for longest spoken filibuster was by Senator Strom Thurmond (R) in 1957. He spoke for 24 hours and 18 minutes reciting the Declaration of Independence, the Bill of Rights and even President George Washington’s farewell address. You can take a look at the text here but I doubt you would want to. It can all sound a bit romantic when you think about it. I mean, don’t you want senators who truly have their constituents best interest in mind to the point that they will talk for hours just to stop a bill from passing? In the film “Mr. 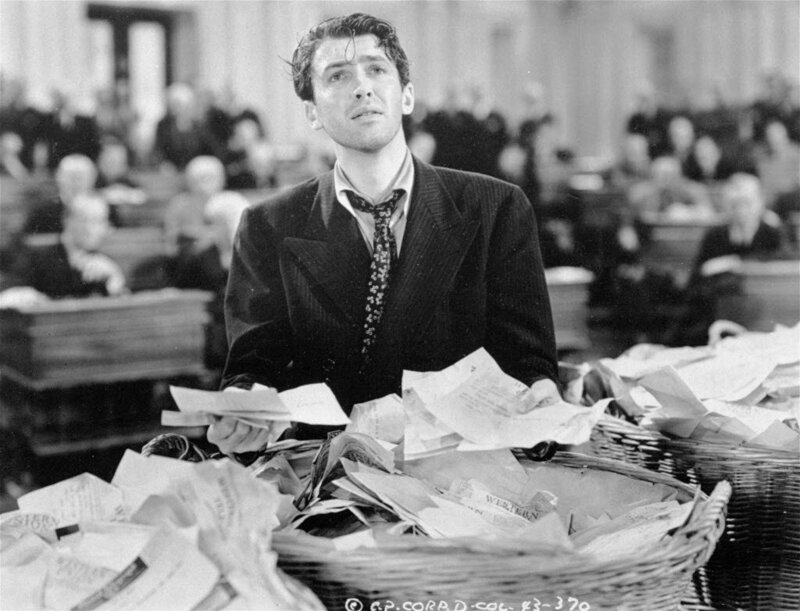 Smith Goes to Washington.” A senator carries out a filibuster by reading baskets of letters from schoolchildren to stop a corrupt bill from passing. He dramatically collapsing from exhaustion at the end. Unfortunately, that’s not always the case. Remember Sen. Thurmond? He spoke for more than 24 hours to keep the Civil Rights Act of 1957 from passing. That freaked you out a bit, didn’t it? With senators spending less time in Washington however, the spoken filibuster has been used as a last resort, for the most part. The most recent filibuster took place Wednesday March 6, 2013 when Senator Rand Paul (R-KY) held a filibuster of President Obama’s CIA director nominee for nearly 13 hours. “I discovered that there are some limits to filibustering, and I’m going to have to go and take care of one of those in a few minutes,” said Sen. Paul, reported by USA Today. As far as recent filibusters, they haven’t been killing legislation as much as they have been bringing attention to the issues around those bills. But a silent filibuster can be a deadly one. A silent filibuster is a threat to delay action. A simple threat. It can be in an email for crying out loud. These are the ones you don’t really hear about on the news or see video of because senators don’t even need to be in the room to invoke one. However, there does need to be a supermajority of 60 votes to override a filibuster of any kind and this is called a “cloture.” The record for cloture motions filed was between 2007-2008 at a whopping 139. Last year it was 115 but only 41 of those clotures was invoked. That’s less than 40 percent. “Too often over the past four years, a single senator or a handful of senators has been able to unilaterally block or delay bipartisan legislation for the sole purpose of making a political point,” President Obama, a former senator, said in a statement to Politico. The good news is, the wheels on the filibuster reform train are already turning. Senate Majority Leader Harry Reid (D-Nev) and Senate Minority Leader Mitch McConnell (R-KY) are working on a reform deal that will curb the use of filibusters and amend some of the rules for the way filibusters currently work. They’ve made some headway by reaching a deal to limit any single senator’s ability to stall a bill. With Sen. Paul’s recent performance, we’ll be hearing a lot more about this in the months to come.